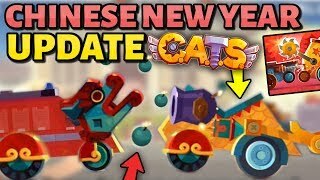 Today we got a new update in CATS Crash Arena Turbo Stars #CatsTheGame and I show you what's new, along with the new ultimate parts, and a new weapon called the Dragon Mortar! I'm glad you clicked on this video and watched it. I hope I'll see you in another one.